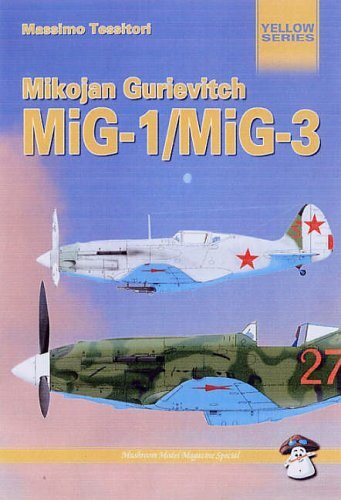 This is the illustrated story of the MiG-1/MiG-3 - the first Soviet fighter plane of World War Two and the first to bear the "signature" of Artem Ivanovich Mikojan and Mikhail Iossipovitch Gurievitch, two aircraft designers who were to become world famous. Even today, despite the death of both men, the designation MiG continues to be used to identify the most advanced Russian aircraft. In 1940, the Mig-1 was a small, slim low-wing monoplane with a powerful heavy engine which compromised manoeuverability. The MiG-3 was much improved and from 1941 - 1943 proved its potential in combat to the full, competing on equal terms with all adversaries. This work features: scale plans; photos and drawings from technical manuals; superb colour illustrations of camouflage and markings; walk-around colour photographs of surviving aircraft; rare b+w archive photographs from World War Two; illustrated history of a lesser-known World War Two aircraft. It is an essential reading for aviation enthusiasts and scale aero-modellers.